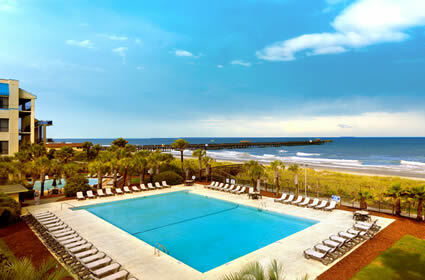 Nestled on 27 oceanfront acres at the south end of Ocean Boulevard, DoubleTree Resort is unlike most Myrtle Beach hotels. 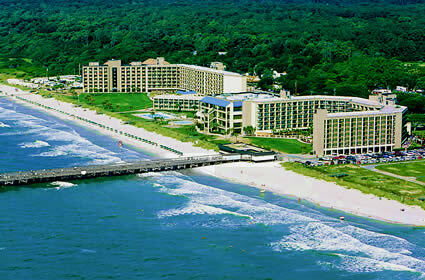 The oceanfront resort is located in a scenic, private vacation paradise on a quarter mile of peaceful, wide, sandy beach. The oceanfront DoubleTree Resort is secluded from the hustle and bustle of Ocean Boulevard, but with an entrance at the south end of the boulevard the resort is still conveniently located just minutes from everything Myrtle Beach has to offer! 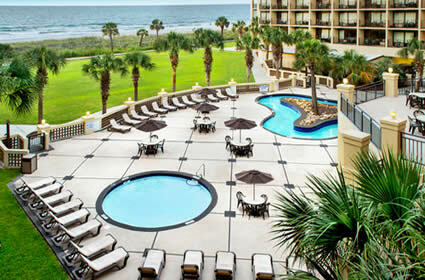 The DoubleTree Resort offers an assortment of ocean view rooms and suites located in 3 towers: Palmetto Dunes, Cypress and Live Oaks. All units have a private balcony overlooking the beach as well as a full-size refrigerator, microwave, coffee maker, flat screen television, iPod/iPhone alarm clock docking station, a safe, an iron & ironing board, a hair dryer and wireless internet access. In the Live Oak tower you will find deluxe rooms, 1 bedroom suites, 2 bedroom efficiencies and spacious 3 bedroom suites. 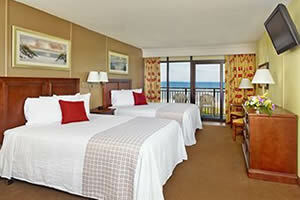 Palmetto Dunes features deluxe guest rooms and grand rooms. 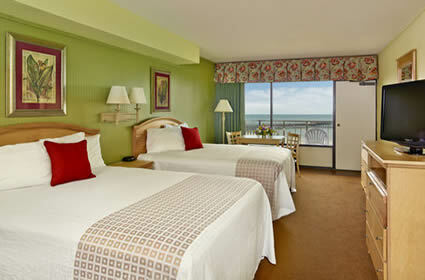 The Cypress tower has standard resort rooms. In addition to a quarter mile of beachfront, the pet-friendly DoubleTree Resort features 6 pools, 2 lazy rivers, a fitness center, an 18-hole miniature golf course, an arcade, 2 on-site restaurants and the 1,068 ft Springmaid Beach Pier. 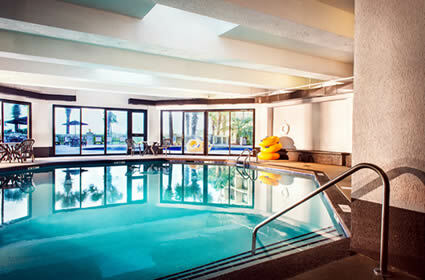 Amenities at the Live Oak tower include an indoor, heated pool, a kiddie pool, lazy river and easy access to the pier. Situated next to Marlin's Buffet Restaurant in the center of the resort, the Cypress tower features the Spouting Seal Pool and the Cypress Lap Pool. 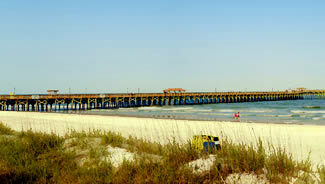 Voted Best of the Beach by readers of the Sun News, the 1,068 ft Springmaid Beach Pier is the longest pier in Myrtle Beach. In addition to great saltwater fishing, the Springmaid Beach Pier provides an absolutely amazing view of Myrtle Beach and the Grand Strand. On the pier you will find the Fish Tales General Store (groceries, T-shirts, beach accessories), the Tackle Box (everything needed for a day of fishing) and BARnacles Bar & Grille (casual dining overlooking the beautiful Atlantic Ocean). Situated at the southern end of Ocean Boulevard, DoubleTree Resort is conveniently located near Myrtle Beach shopping, theatres, attractions and dining. The resort is just minutes from restaurants and shopping at The Market Common and a short walk to the Franklin G. Burroughs - Simeon B. Chapin Art Museum. 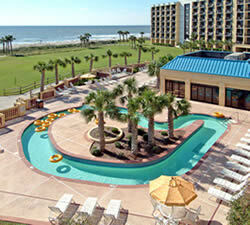 Explore these fantastic Myrtle Beach Hotel Deals and SAVE BIG on oceanfront lodging for your next Myrtle Beach vacation!